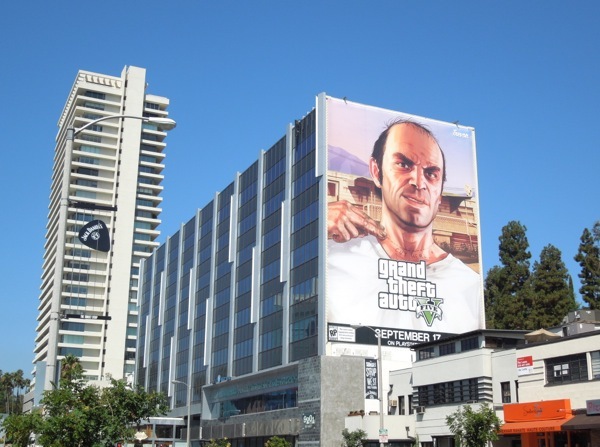 Who knew when Grand Theft Auto first debuted in 1997 that it would become one of the most universally acclaimed video gaming series and spawned a fifth installment sixteen years later, it's just like the Fast & Furious movie franchise which just keeps on motoring full throttle too. 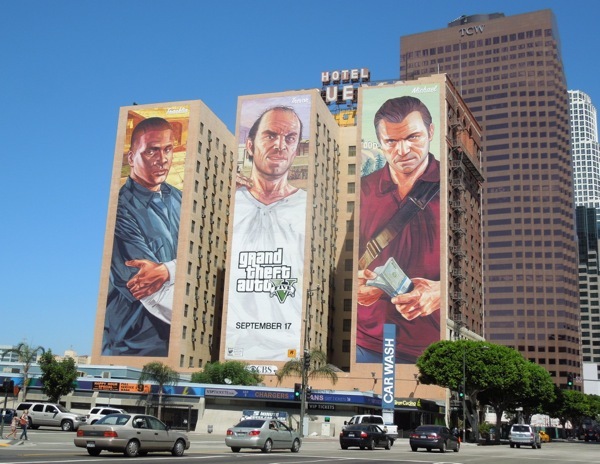 To advertise the release of Grand Theft Auto V (or five) these super-sized billboard creatives have appeared along L.A.'s busy streets, and the individual ads focus on two of the three main characters in the new game. 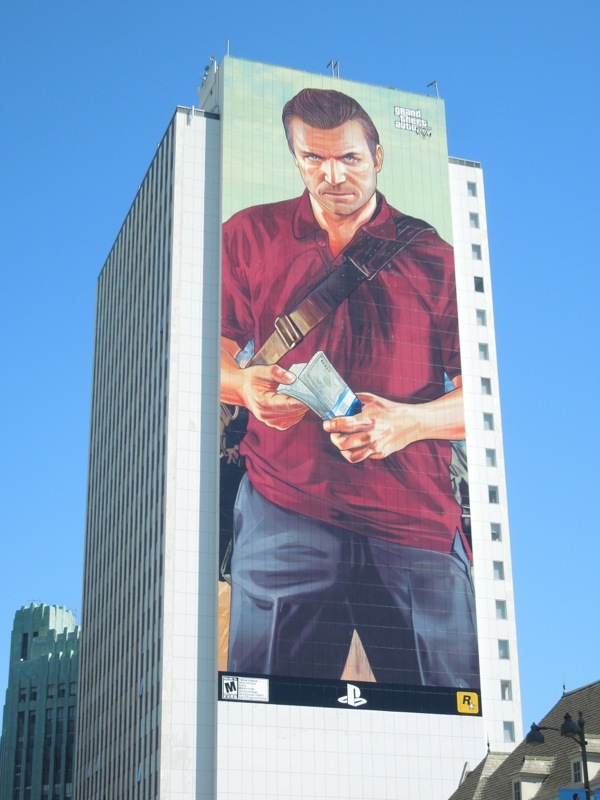 The giant-sized billboard spied along Wilshire Boulevard on September 4, 2013 features 'Michael', a rich and miserable family man (and former bank robber) who's addicted to chaos and looks like he's about to have a major mid-life crisis. 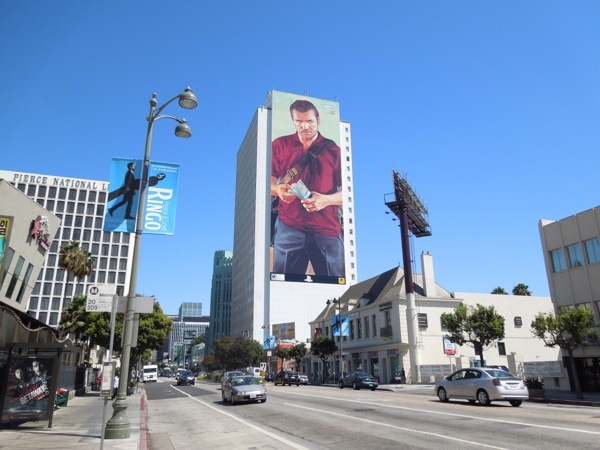 The other charming fellow is his psychotic best friend, 'Trevor', a trailer park drug dealer who's quite partial to a baseball bat and probably someone you don't want to meet in a dark alley, was his billboard was snapped along Sunset Boulevard on August 21, 2013. 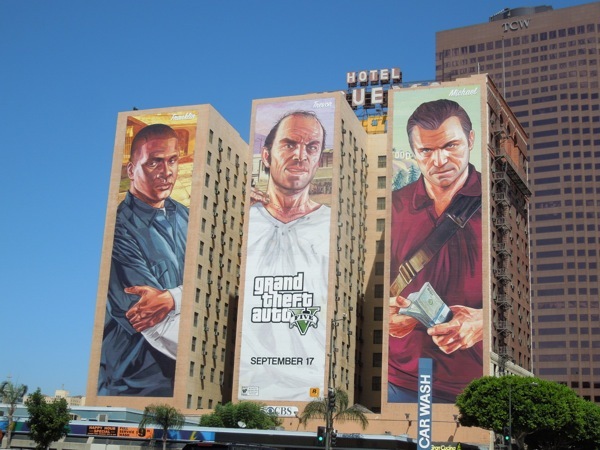 Meanwhile another trio of massive wall murals featuring these two suspects and a third character, gangbanger and repo man 'Franklin', were spotted on the sides of the Figueroa Hotel in Downtown L.A. on September 8, 2013. 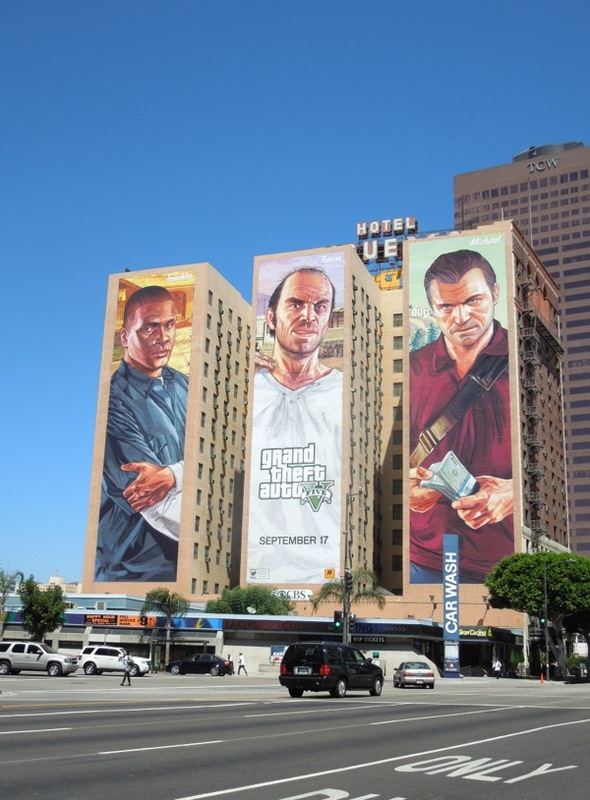 Now that the gang's all here, looks like it's time to get down to the business of some major crime. 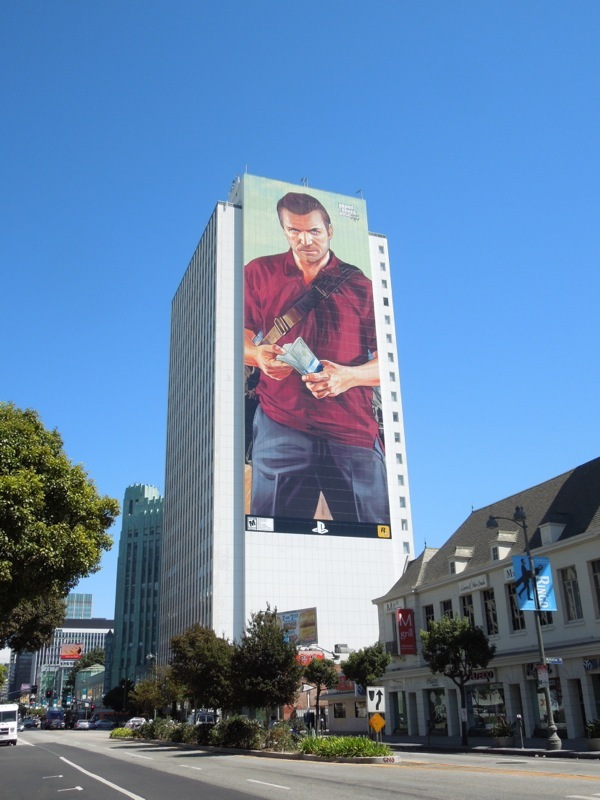 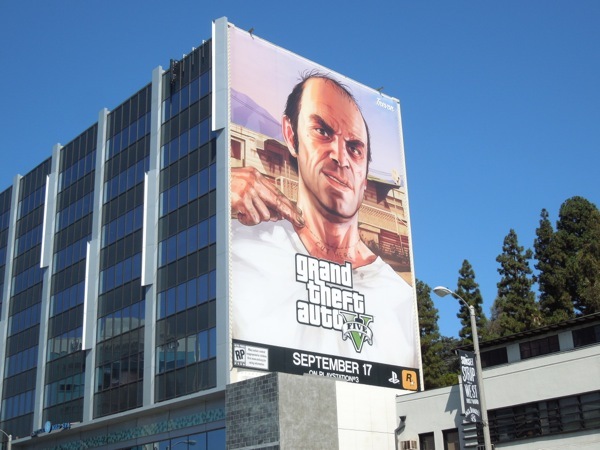 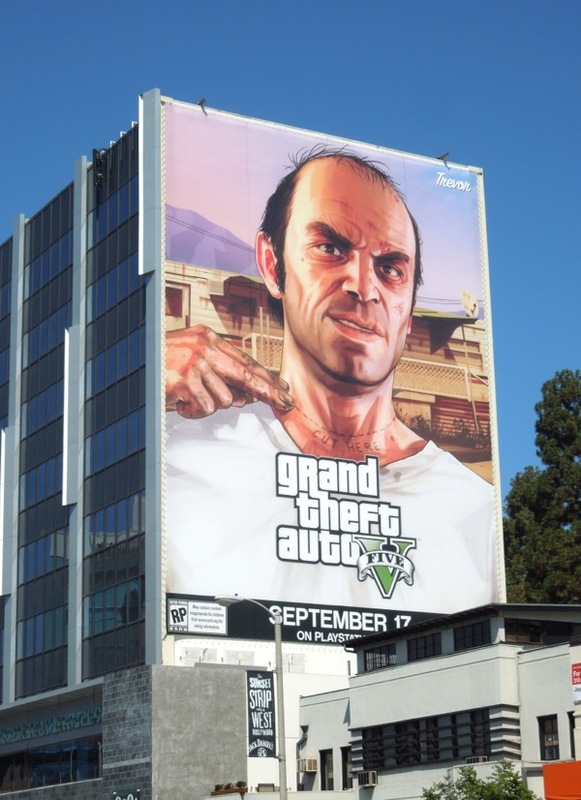 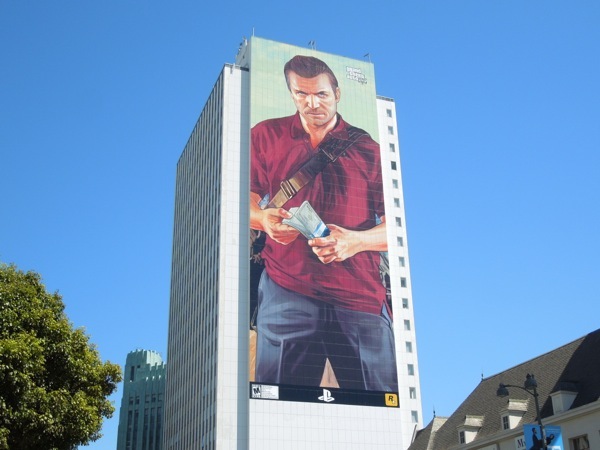 If you like these GTA 5 ads from Rockstar Games, be sure to check out all these other cool video game billboards from around the streets of L.A. and New York City.